For today's cards I have used the Pretty Petals DSP. 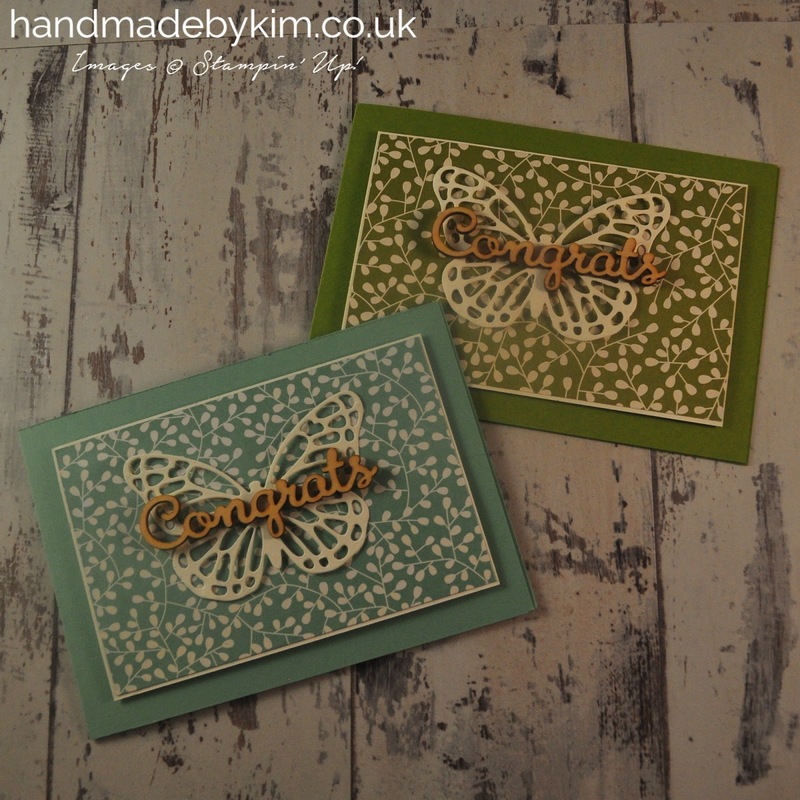 I didn't love all of the designs in this pack but there were a few that I thought were really lovely, including this design which was available in the two different colours - Mint Macaron and Old Olive. You can click here to have a look at cards I have made with the same papers but with an aging effect. 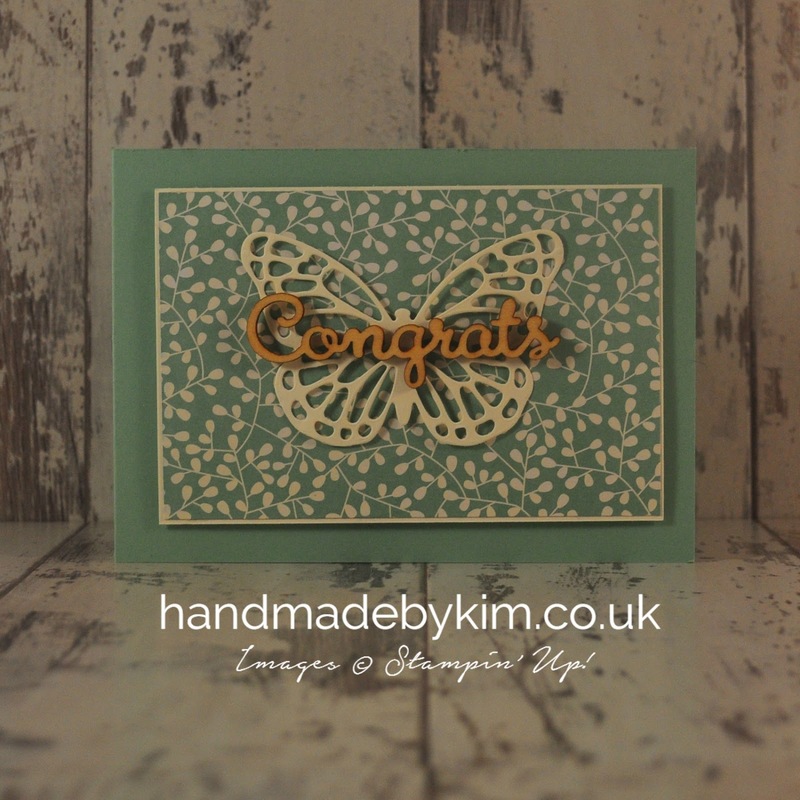 Is amazing how different it can look with a little bit of sponging around the edges and different colour cardstock behind it. 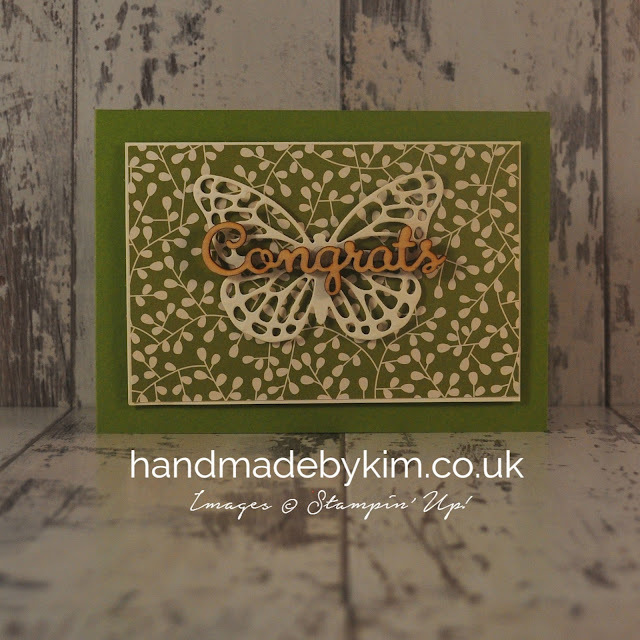 I've used Very Vanilla for the butterfly and the layer around the DSP, to match the colour of the leaves. I got a bit carried out pulling out all of my favourite DSP and so my next post will be cards made with the same DSP stack but using different designs.